It is perhaps a little known fact that Brighton and Hove is one of the major Jewish communities in the country outside London. If you would like to explore the history of that community, then an exhibition at present staged in Brighton is certainly worth a visit. 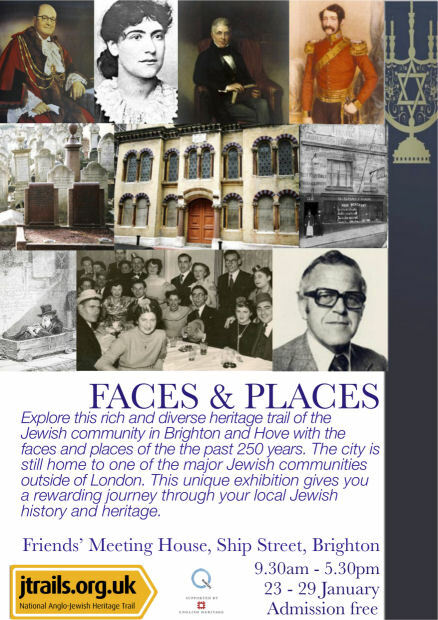 Faces and Places, the Brighton and Hove Jewish Heritage Trail exhibition is currently at the Friends Meeting House in Brighton. It will then transfer to the Reform Synagogue in Palmeira Square, Hove. The exhibition is showing until the 29th January and admission is free.